Have you ever felt insecure about how your competitors are carrying out their marketing campaign? Most of us have. Fortunately, there’s a way for you to drive more traffic and engagement to your brand through the crafty use of videos and images. That is the power leveraged by Instagram. If you’re new to Instagram, you may feel like you’re groping in the dark. 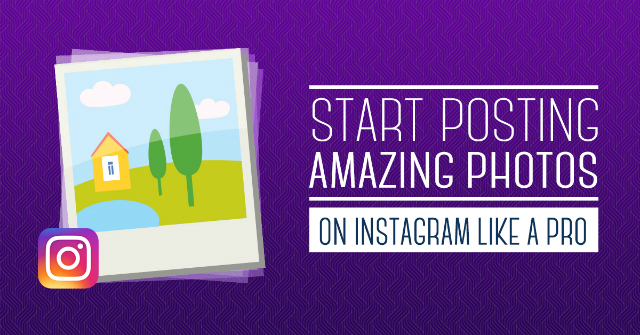 As soon as you get the hang of it, there is so much you can achieve from using Instagram. This guide presents you with killer tips for posting amazing photos and videos your audience will find hard to resist. 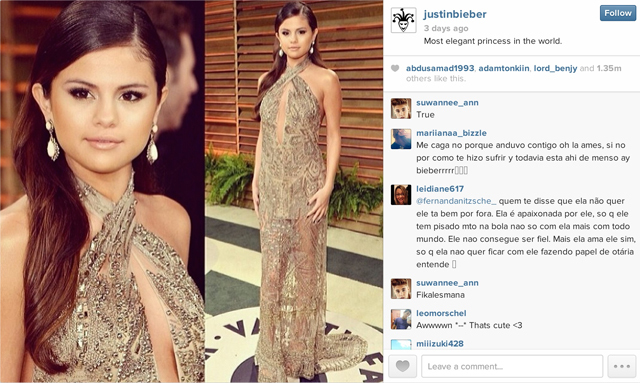 Instagram is growing fast, which can only tell how useful people are finding it. By December 2014, the monthly active user population was 300 million. By 2016, this population had grown to 400 million-plus. That is more than 100 million people joining Instagram within a span of less than two years. Many social media icons have risen to stardom exclusively through this little angel. And now, businesses are fast recognising the huge potential the network holds. Still, some people remain unsuccessful in their use of Instagram, both as individuals and as businesses. Top brands are finding their way into the network with massive results. Just recently, some bloggers labelled Instagram the king of social engagement arguing from the statistics of a study by Forrester. The study was carried out on other popular social media such as Facebook and Twitter. 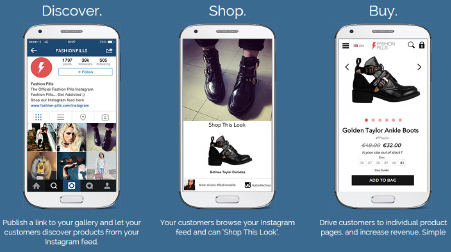 Whether much can be achieved by properly using Instagram as a marketing infrastructure is not debatable. The question is why so many brands and individuals have failed while so few succeeded even when the playing field has been levelled out? With its massive popularity, Instagram can be a powerful marketing tool especially for those young brands that are not able to shell out a lot of dough on marketing campaigns. This app provides you with a perfect means to engage with the market on an everyday basis, giving you a sneak peek into your company’s backend. People love to know what you are up to. And if you are a brand, they will be glad to learn what next you have for them. Did you just bring in a new shipment? That would mean there are fresh varieties they can choose from. And by giving them sample photos of these new varieties, you allow them to ‘window shop’ and make selections without necessarily having to visit your store in person. In essence, you are allowing your customers a window into your stockpile while saving them the travel expenditure. It also doubles up as a time saver. They can book the items right there on Instagram and make arrangements for delivery. If you have a daily special, the experience gets even better. And when you have an event coming up, they will know about it firsthand. Here, you can always bring your community into the fold with videos and pictures. Social media icons are good at this. They have mastered the art of sharing their individual lives and built their communities based on sharing themselves. Sharing your private life is a great way to let your followers learn what things you consider important. You should personally determine the level of sharing that is appropriate. Notice however that this will determine how effectively you engage with your followers. You can use pictures of activities you are engaged in or videos of the same. This should be consistent to keep up your engagement, but moderate enough to avoid bugging them. Again, this is the private side of your business. You have preparations underway for the launch of a new product? Show it in snapshots. People like suspense. And a little evidence of what is coming up will arouse a lot of interest. When the product is finally out, your market will have been on standby. If you are holding an impromptu challenge in the office or your company boardroom, you should definitely share that. If your brand wins a prize, you will want to share that too. It not only tells how well you are recognised for outstanding performance, but also keeps your followers engaged all the way. Launching a successful Instagram marketing plan requires adequate knowledge of its basics. Otherwise, it can feel like trying to catch a fish with your bare hands against a rushing river. So let’s get our head around the basics. 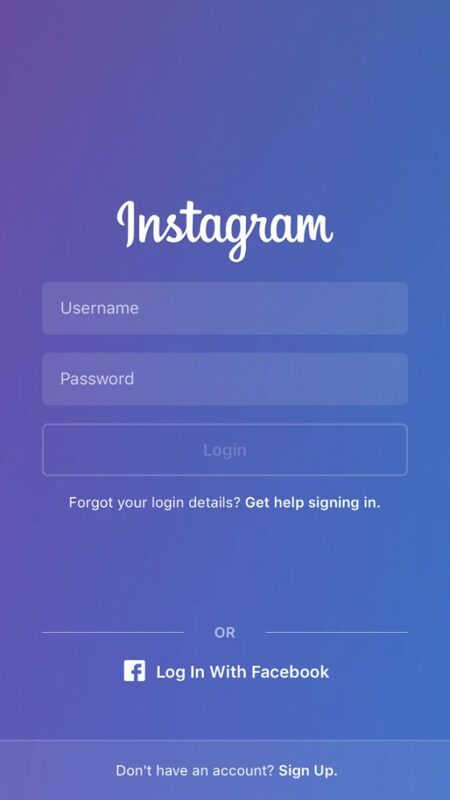 Start by downloading the Instagram iPhone or Android app and install it on your handset. Then register an account. These accounts are set to public by default. The more public your posts are; the more social you can get. But you are allowed to create a private account, in which users will only follow or access your posts if you approve. To make your account private, head down to ‘Privacy’ settings and select ‘private’ to make your photos and videos accessible only to those whom you approve. You may not need that setting for your brand. You need to capture as many followers as possible. Yet as soon as a user is prevented from accessing your content, most of them will simply hit the dreaded cancel request button. So, once you have registered an account, proceed to edit your profile information to reflect your brand in the best light. Choose a suitable photo and make it your profile picture. Your profile should have a brief 150-character bio with information regarding yourself for a personal account and your brand for a business account. Include your website on the space provided on the bio section. Most people have at least a Facebook account. And Instagram knows about this, so it allows you to continue your friendship of Facebook right there on Instagram. It will notify you when your Facebook friends are spotted on the app so you can link up with them. Since this social app survives inherently on the mobile platform, it is important that you connect it to your other social accounts to get the most out of its experience. There are options for linking your Instagram account to Twitter, Foursquare, Facebook, VK, Tumblr, Flickr, Weibo and Mixi accounts. Go to your Profile tab and select the Edit Sharing Settings option, then select the network you wish to interact with. After enabling this social media connection, you will have the option to have each post instantaneously posted on these networks each time you upload a photo or video to Instagram. Meanwhile, you can limit the post to Instagram without sharing it to any of the networks you’ve enabled. That decision remains strictly yours to make as you post anything. Posts not shared directly with the other enabled networks will remain only accessible to the users who follow you on the mobile app. Instagram has no web-hosted photos feed. So you do most of your browsing on mobile, you can choose to set up push notifications for a more enriched mobile experience. Notifications will be sent to you when users like or comment on your photos, @mention you in a comment, when your picture is posted on the popular page or when you are tagged in a photo. Of course, you can control these notifications on your mobile by clicking on the Settings menu on your profile. Head down Push Notification settings and select the kind of notifications you would like to receive. Instagram was originally designed for photo sharing. But now it is equally great for sharing videos. It comes with a host of options for editing both photos and videos. This doesn’t mean that you should not have a different photo editing app and rely exclusively on Instagram. While there is a little restriction on the nature of photos you can upload to the app, your videos should be short. The app initially allowed 15-second videos. This was later doubled to 30 seconds. Now you can share 60-second videos on Instagram. Still, it is much safer to keep your videos short. Many users will not have all the time to view long videos. Photos remain obviously the most popular media on Instagram. You can take one by clicking the blue camera button in the centre of your app’s navigation panel, which activates your device’s camera by default. Alternatively, you can choose a picture from your phone’s storage by clicking the double-square button on the lower-left corner of your device’s screen. All Instagram photos are rolled into perfect squares; you may want to consider this when you elect to upload photos already taken on your phone storage. You may choose to crop it before uploading or use the app’s cropping tool to fit the proportions given. As we have agreed, keep your Instagram videos considerably short. Anything ranging from three to fifteen seconds long will make a great video clip. But when the app was adjusting to 60-second videos option, they had a serious reason for that. Perhaps you will want that too. This length remains totally your choice. With videos too, you can record a clip instantaneously from the app by pressing the camera button and selecting the video recorder option to the right. To share one from your phone storage, simply follow the same procedure but choose instead the upload from phone option. Either way, you can make your clips as continuous segment, or slice them into several clips together. The latter allows for some ingenious animated videos or stop-motion. Just as you would a photo, you can add a filter to your recorded or uploaded video clip. The filters are rather different from those provided for photos. Users with iPhone 4S or later models can enjoy the use of a video stabilising feature at this stage. Instagram users have two main media editing options. The first is the filters and borders, while the second is tilt-shift. After taking or uploading a photo to Instagram, three icons will appear below the image. These include a set of 17 different filters many of which will add ‘vintage’ effects and make your photos appear more professional. In addition, each filter has an associated border. These borders could add rounded edges or rough, sandpapery frame for instance to your photo. If you want to do away with the frames, simply click the square ‘frame’ on the upper-left corner of your edit display. This category of editing option allows you to focus certain planes of your photo selectively, nearly the same way a special DSLR lens would. When used well, this tool can make your your smartphone snaps look spectacular. It can give a normal photo an artistic or professional appearance when used wisely. Instagram is celebrated for one main factor- its photo sharing quality. 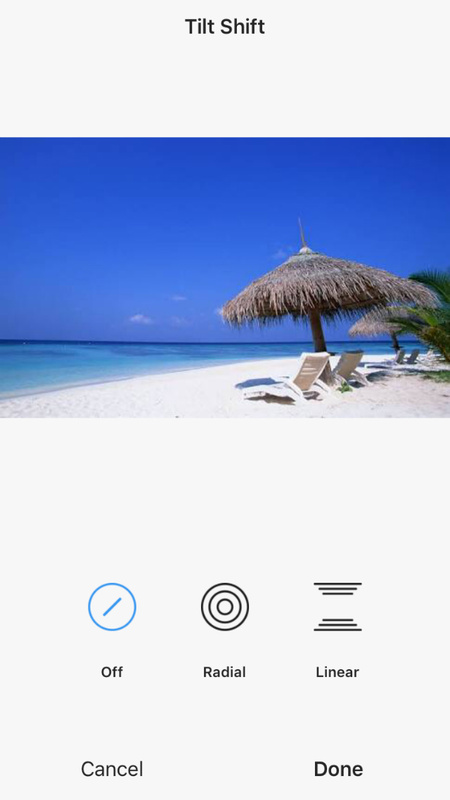 Once you have your photo ready for posting, clicking the check option (green) brings you to the next screen. This is the social sharing and caption screen. At this screen, you can add more details that are relevant to your photo including @mentions and hashtags in addition to the caption text. The @mentions are useful particularly if you wish to share on Twitter. You can as well tag your location if you have enabled the location feature. To enable sharing across the various social networks, simply toggle the linked accounts to have the media shared out within those platforms. Alternatively, you can retroactively share the photos already posted on Instagram by going to your profile and selecting the photo you wish to share. Then click the lower-right corner icon with three dots on the screen. Select the share post option and choose the respective network. Another way to share is by manually pasting the URL on the destination network. You can follow a bunch of celebrities, people with whom you share interests or your existing friends on Instagram. You can find friends by manually typing their names at the search bar and those who have connected their Twitter and Facebook accounts to Instagram will show. Alternatively, input your phone contact list and generate additional connections. The rules for better Instagram posts are simple. Some are even intuitive. However, you have to learn some of them to know how they actually work. For instance, you can tag people on a post if you know their Instagram usernames. In this regard, Instagram works just like Twitter. 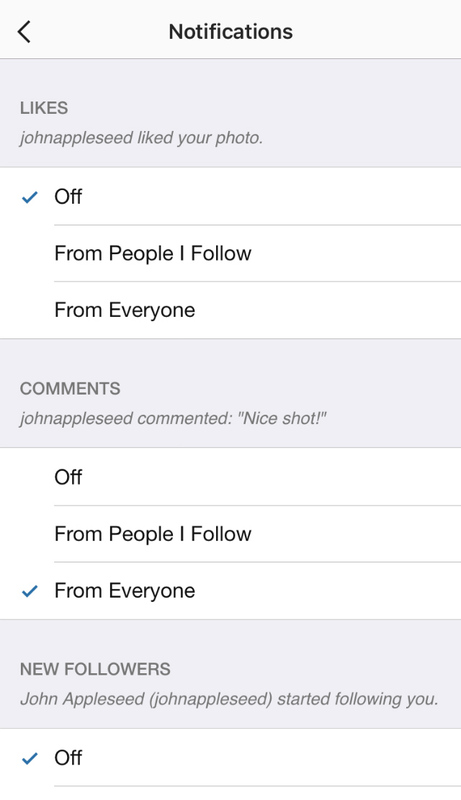 A notification will be sent to the person whom you tag on your photo or video post. To create a tag, simply add ‘@’ to the username. If the user is Jones, then you can tag him on a post by creating @Jones tag. Do not go around tagging people unless they appear in the photo or they have requested you to tag them. Otherwise, you could bother a user in which case you risk losing them. People hate to be tagged on a post just to get their attention; it is a spammy act. It is a good behaviour to respond if someone comments on your post. It doesn’t have to be a question; you could just recognise them by commenting back. To respond, touch and hold the person’s username. A new screen pops up with that username preceded by the tag, and all you have to do is just comment and send. To focus attention on a subject or an idea, create a hashtag associated with the subject you wish to trend. This is done by using the hashtag (#) with a phrase or keyword. When this is applied consistently, users will encounter the hashtag and start to associate that with your business. They may even start using the hashtag for their own relevant posts. You won’t be posting just any photo on Instagram if you want to achieve anything. If you post a photo, let it be one that adds some value to your brand. And you don’t stop there, each photo you post should appear as professional as possible, so you may want to always edit as you post or before you upload. Get an awesome photo editing app. There are great apps for editing photos such as Snapseed that will help make it simpler for you to edit photos. 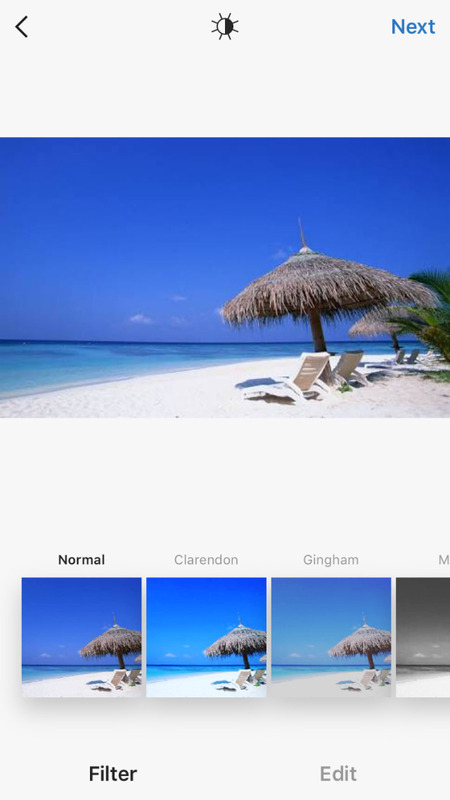 The app comes with a lot of features that enable you to adjust sections of your photo, among other things. Use a lens accessory. A lens accessory will improve your shots. Add one to your phone to produce astounding photos each time you capture. This will help you impress your followers a great deal by standing out from the crowd. Use hashtags, but not too many. Go easy on hashtags. They are great and will help you build a community around your brand as discovery tools on Instagram. They will link posts with the same theme or phenomenon and make such posts easy to sample together or access by followers. However, too much of something often comes with its downsides. The secret to posting incredible Instagram photos rests with the relevance and quality of the photo. A good quality photo will always appear awesome to your audience. But to get such quality, you need the help of a superb camera. Add a lens accessory to your phone for compelling photos. Also, instead of relying entirely on Instagram to edit your photos, get an app that will make your photo editing easier. That way you can always be assured of amazing Instagram photos. It’s time to apply your new knowledge. Have fun posting amazing photos and videos that your audience will love.